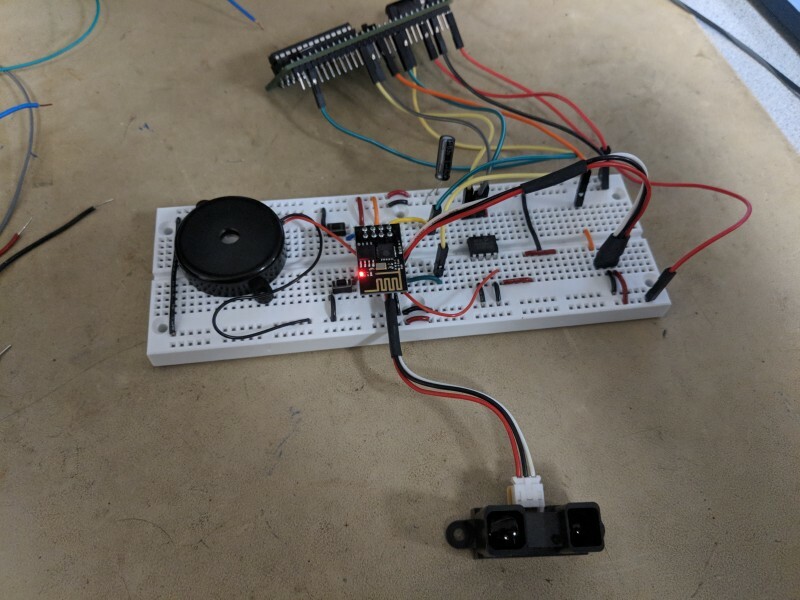 Sometimes you want to connect a USB device such as a flash drive to a simple microcontroller. 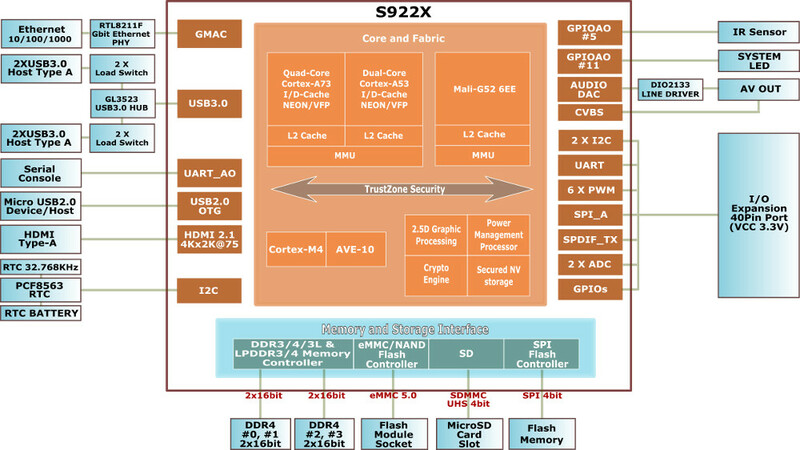 The problem is most MCUs cannot function as a USB host. In this article, Stuart steps through the technology and device choices that solve this challenge. He also puts the idea into action via a project that provides this functionality. 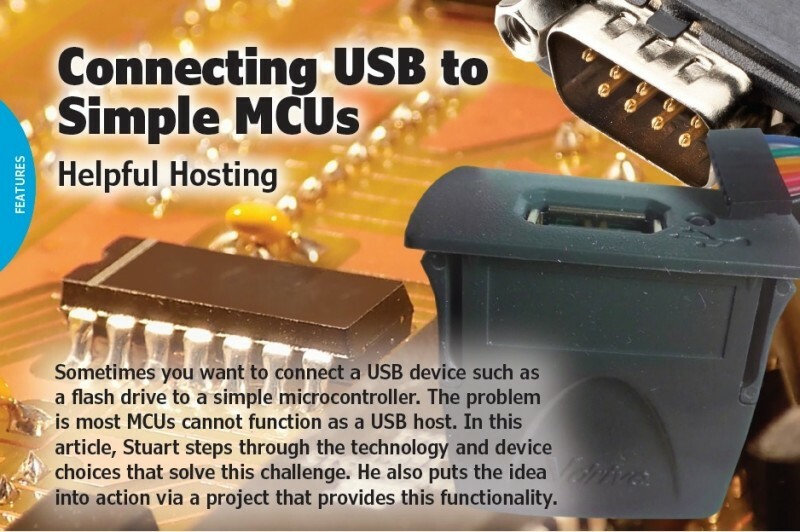 Even though many microcontrollers (MCUs) may have a USB device interface that can connect to a host, rarely is a host interface available on simple MCUs. 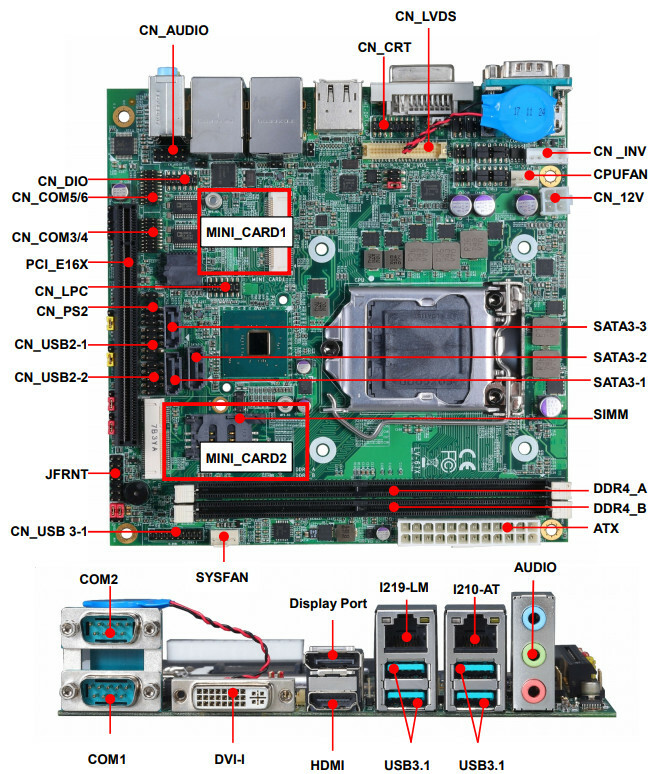 There are various reasons for this, including the complexity of implementing a USB host interface on a simple processor, the need to enumerate and recognize many device types and the memory required to do so. Functioning as a single USB device is much simpler. Implementing a host interface also puts some constraints on the MCU for throughput and clock speed choices. 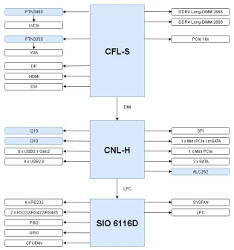 I have been working on a retro CPU board design, using the Z80180 processor that can run the old CP/M-80 operating system. This is just a fun project, with no real practical use. But the project needed storage that could replace the floppy disk normally used in CP/M. I considered using SD cards, but in experimenting with them, I decided that they are just not what I wanted. 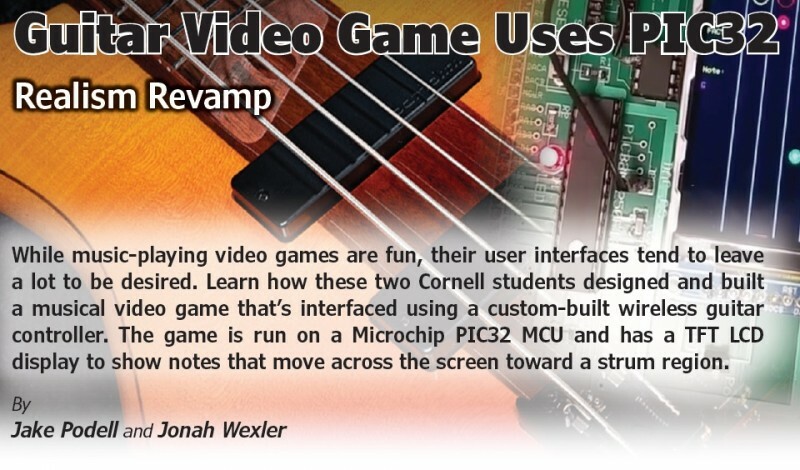 What I did want was the ability to plug a USB flash drive into the circuit. 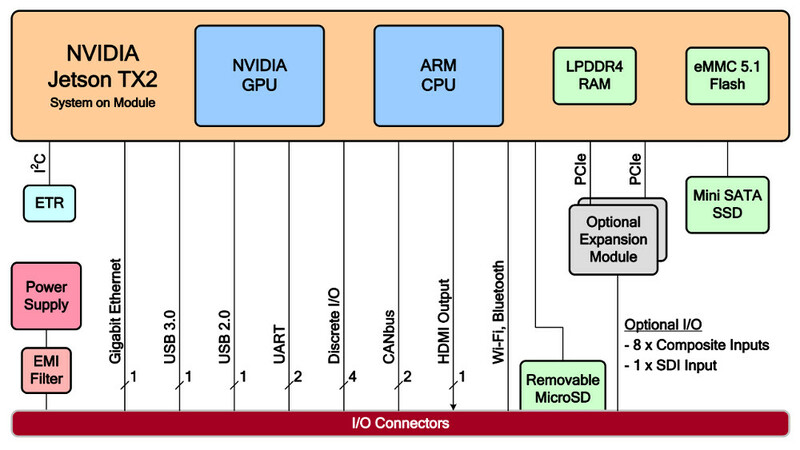 There are ways to implement USB host capability on an MCU, especially if it has a USB interface that supports OTG (on-the-go) USB capability. But no matter how you do it, you have to write or obtain drivers and integrate the functionality into your software. 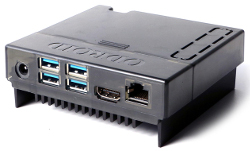 You will also be constrained as to which MCUs you can use, based on availability of USB host capability. 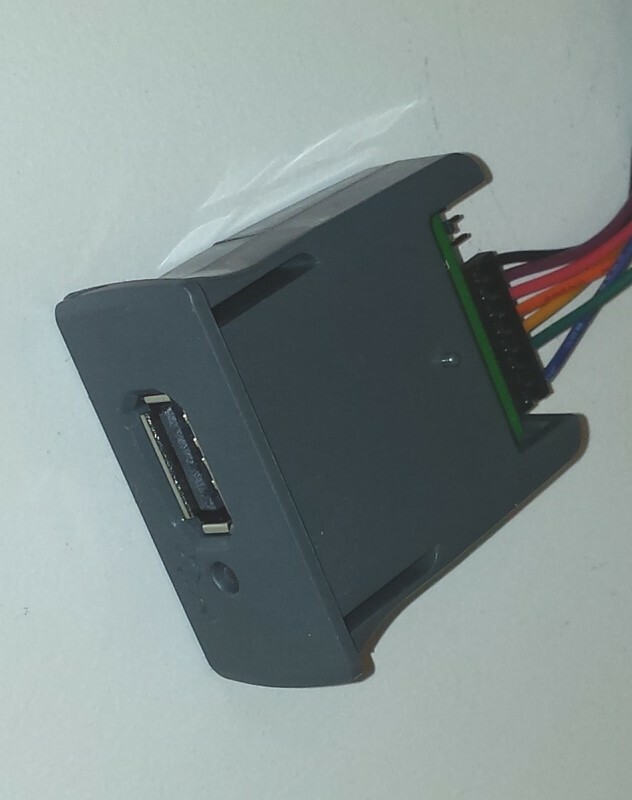 But for a simple design, you may not want to be forced to use a part just because it has USB host capability. 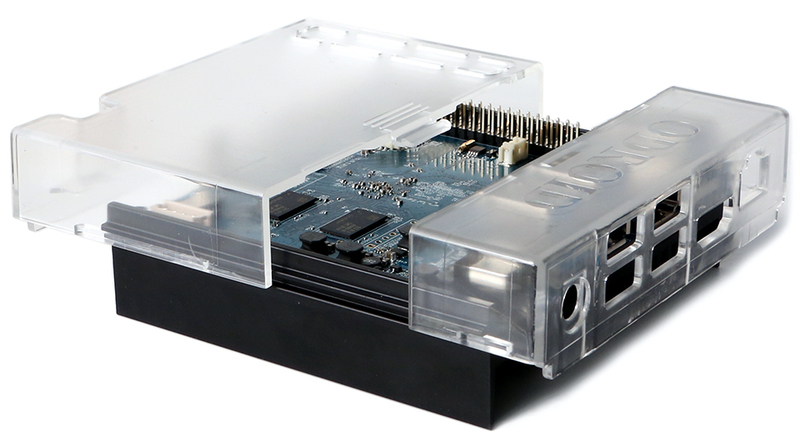 FTDI makes a USB host module called the VDrive3 that provides a limited USB host interface and can connect to an MCU (or even a PC) using an asynchronous serial port. 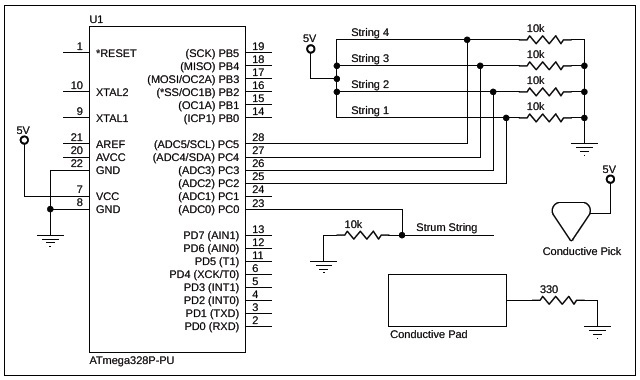 The module also has an SPI interface, although I did not use that in my design. 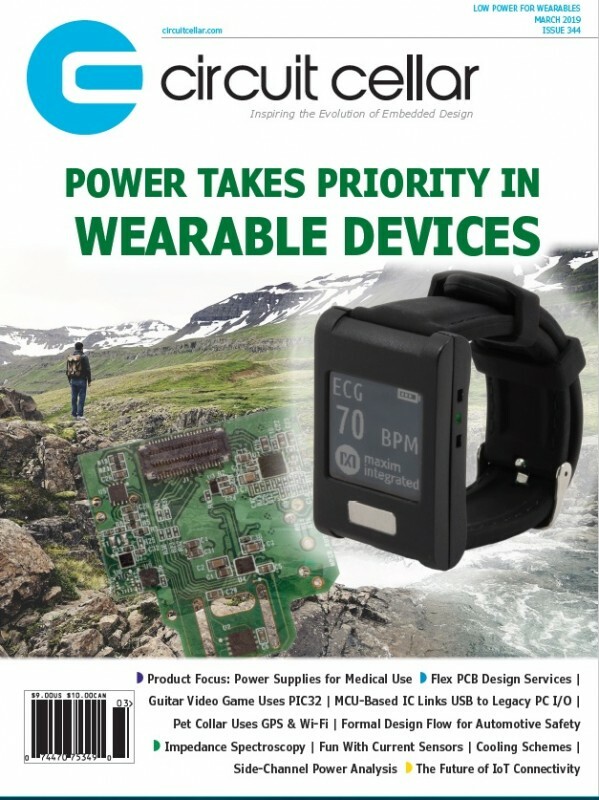 A link to the datasheet is provided on the Circuit Cellar article materials webpage. 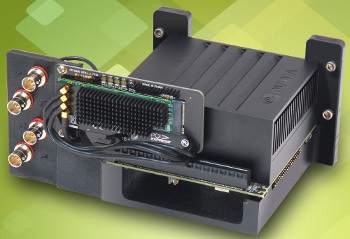 The VDrive3 (Figure 1) uses the FTDI Vinculum IC, which provides a USB host interface on one side and a serial or SPI interface to your MCU on the other. Since all of the hardware and software to implement the USB host interface is inside the VDrive3 module, you don’t need to develop USB stacks or drivers, or deal with licensing issues. 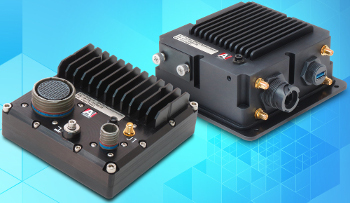 The VDrive3 comes in a plastic housing so it is easy to mount in a rectangular cutout. 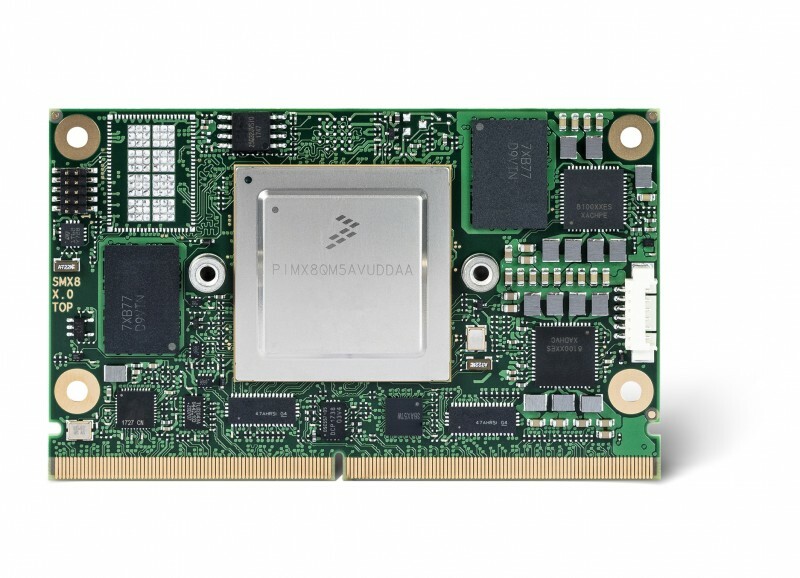 VDrive3 module. The module comes with the attached cable, which I modified to use a different connector on my board. The VDrive3 has a file-based interface for USB flash drives, which means that you don’t need to manage the memory yourself. You open files, write to them, read them, close them and create directories. 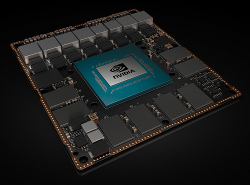 The VDrive3 shields the host from the memory management functionality, allowing all this to be done with simple commands over the serial interface. 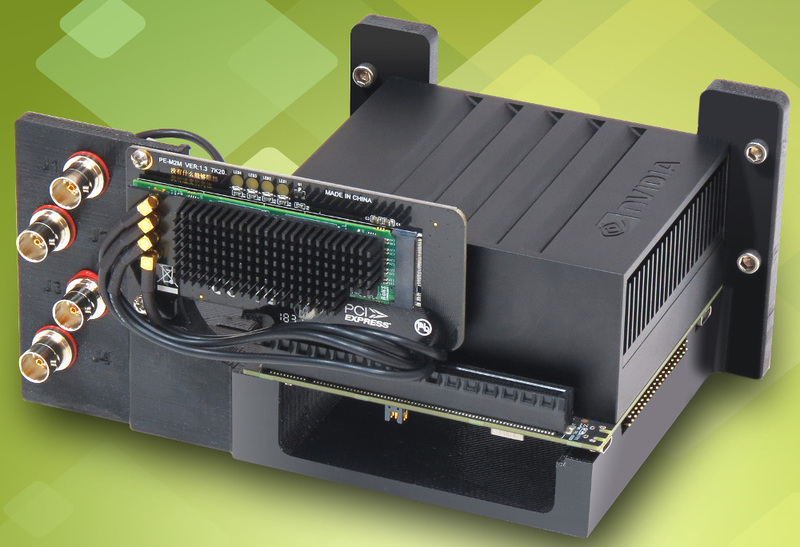 The VDrive3 manages the file system so you don’t have to. In my application, I was emulating a floppy disk. I defined the “virtual floppy” to have 256 tracks of 32 sectors each. To implement that on the VDrive3, I created 256 directories named TRAK000 through TRAK0FF. In each directory, I created 32 files named SEC00 through SEC1F. So, when the CP/M operating system wants to read or write a specific sector, the AVR MCU navigates to the directory that represents the selected track and opens the sector file corresponding to the specified sector. This is a simple mechanism that is really applicable only to the way I’m using the flash drive, but the general principles apply to any VDrive3 application. You can create a directory, and then create files within the directory that correspond to whatever information you need to store. Or you can skip the directories and store everything at the top directory level. One advantage of using the VDrive3 is interoperability with a PC. If I used SD drives, I would either have a proprietary format that couldn’t be read in a PC, or else I’d have to manage a PC-compatible file system in my MCU. 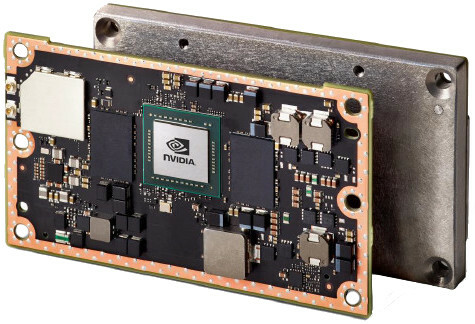 But the VDrive3 recognizes the standard FAT12, FAT16, and FAT32 file systems, so a flash drive written on a VDrive3 can be inserted into a PC and read. 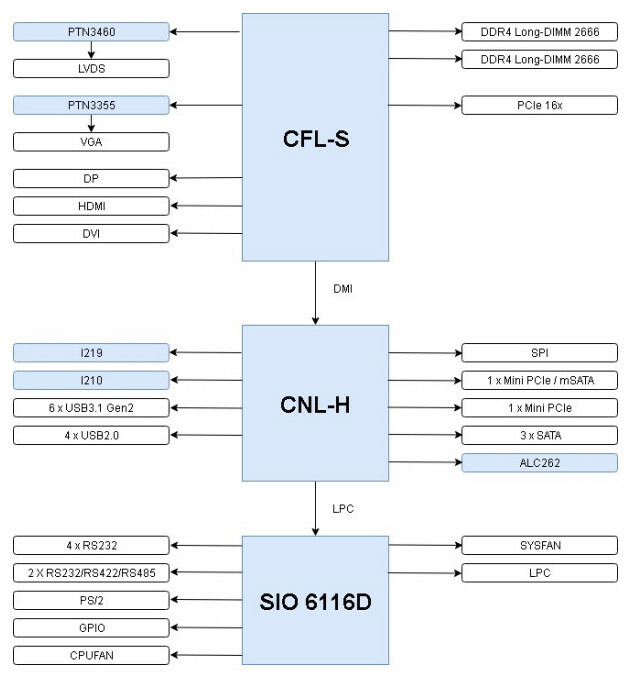 This could be very useful if you are collecting debug or log data from your MCU application. In my case, I could make a copy of a CP/M “floppy” on a PC. 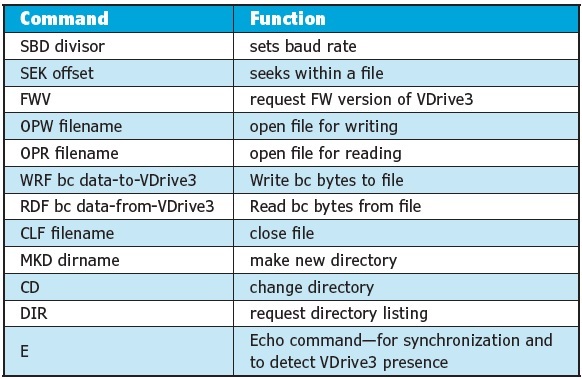 The VDrive3 recognizes various commands, including SEK (seek to file offset), OPW (open file for writing) and WRF (write to file). 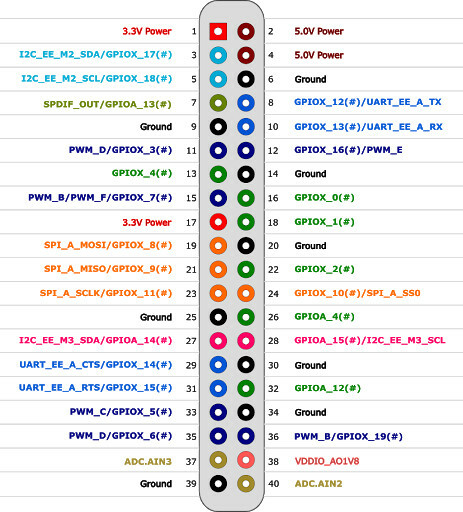 The commands used in my application are listed in Table 1. VDrive3 commands can be sent in ASCII as in the command list in Table 1, or you can configure it to use a short command set that requires fewer bytes to transmit. Data can be either ASCII or binary. The VDrive3 defaults to the extended command set and binary data transfer, and I leave the module in that mode for my application. The VDrive3 recognizes various commands. Shown here are the commands used in my application. VDrive3 commands can be sent in ASCII as in this command list, or you can configure it to use a short command set that requires fewer bytes to transmit. 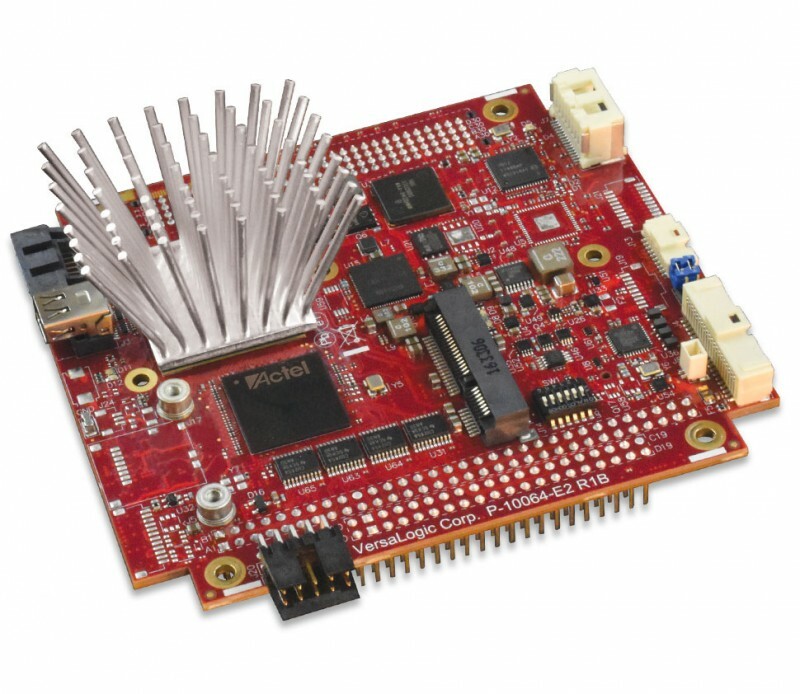 Segger Microcontroller has introduced emPower-USB-Host, a compact low-cost development board. With two USB host ports, many applications using USB peripherals can be realized with little effort. 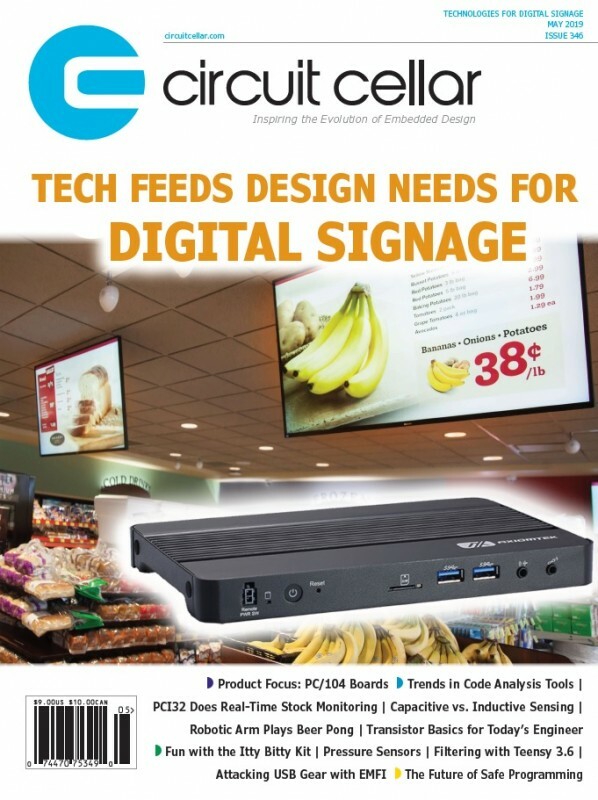 Precompiled applications for barcode and smartcard readers, as well as POS displays, LTE sticks and USB to LAN adapters are available for download, including complete projects for Embedded Studio with source code of these applications. 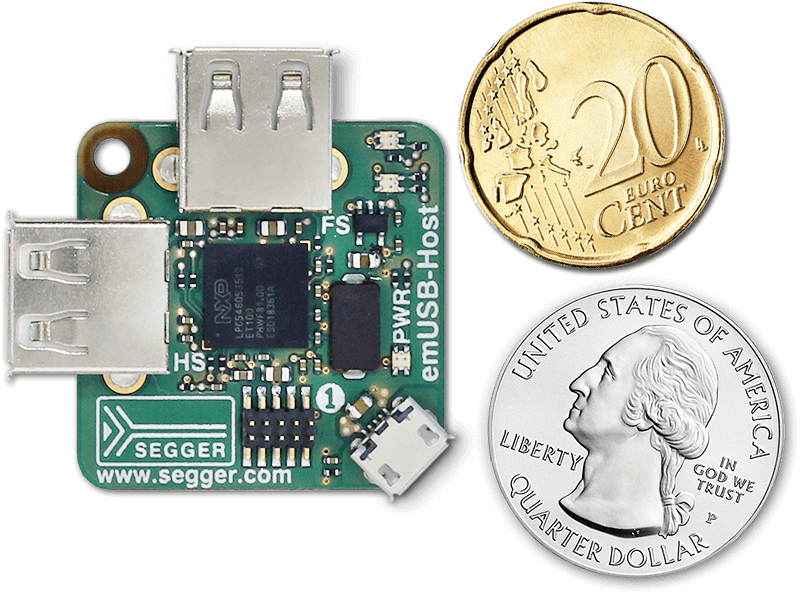 The applications are using Segger’s emUSB-Host software API, which makes accessing the different types of USB devices easy. emPower-USB-Host uses the emLoad bootloader, pre-loaded into the flash of the MCU, to easily change applications in seconds using a USB flash drive. Development of custom applications is also supported. 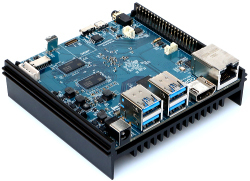 The board has a debug connector, providing full access to the NXP LPC54605J512 MCU with its Cortex-M4 core. 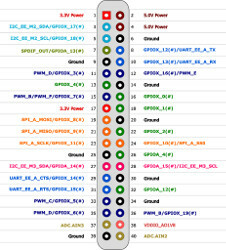 Schematics and PCB layout of the board are available under a Creative Commons license. 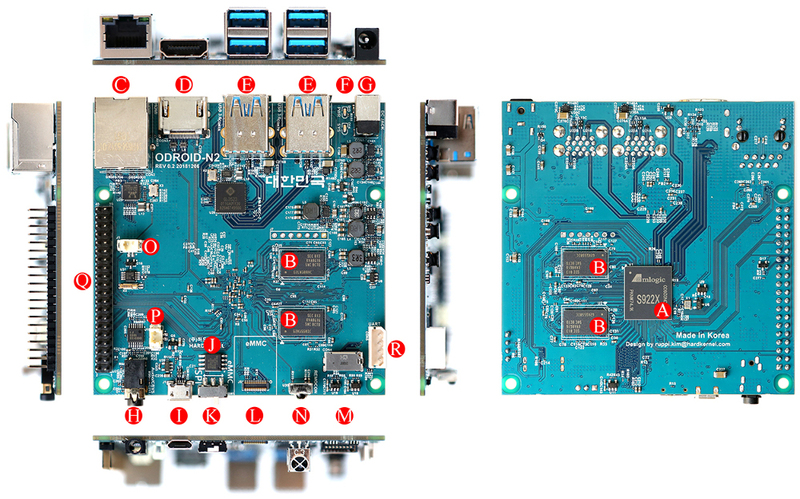 This way, the hardware can be used as a blueprint for custom devices using two USB host ports. 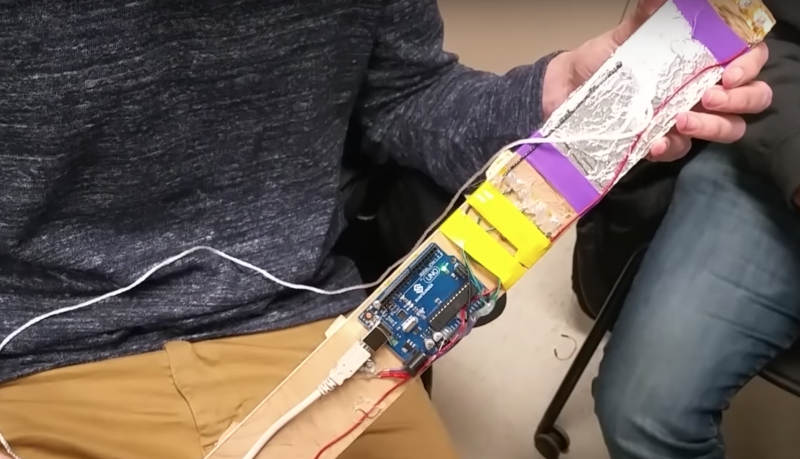 Discover how these Cornell students built an Internet-connected door security system with wireless monitoring and control through web and mobile applications. The article discusses the interfacing of a Microchip PIC32 MCU with the Internet, and the application of IoT to a door security system. The idea for an Internet of Things (IoT) door security system came from our desire to grant people remote access to and control over their security system. 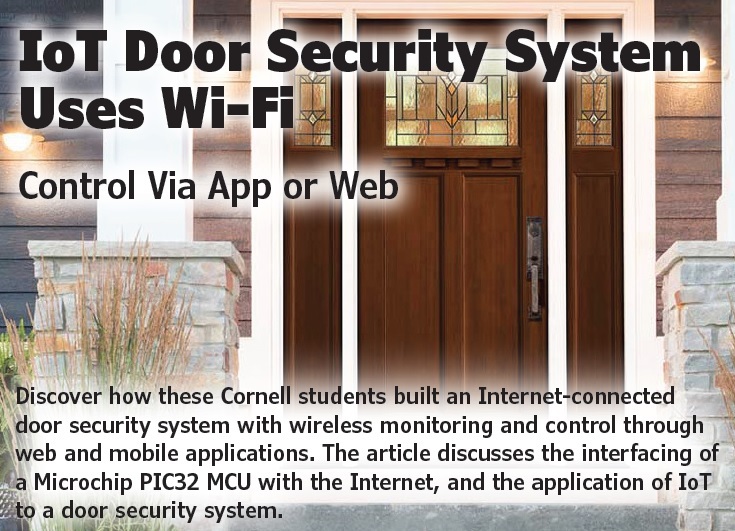 Connecting the system with the Internet not only improves safety by enabling users to monitor a given entryway remotely, but also allows the system to transmit information about the traffic of the door to the Internet. With these motivations, we designed our system using a Microchip Technology PIC32 microcontroller (MCU) and an Espressif ESP8266 Wi-Fi module to interface a door sensor with the Internet, which gives the user full control over the system via mobile and web applications. The entire system works in the following way. To start, the PIC32 tells the Wi-Fi module to establish a connection to a TCP socket, which provides fast and reliable communication with the security system’s web server. Once a connection has been established, the PIC32 enters a loop to analyze the distance sensor reading to detect motion in the door. 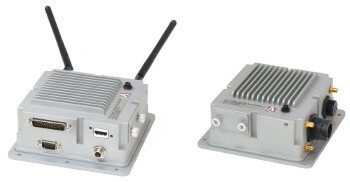 Upon any detection of motion, the PIC32 commands the Wi-Fi module to signal the event to the web server. 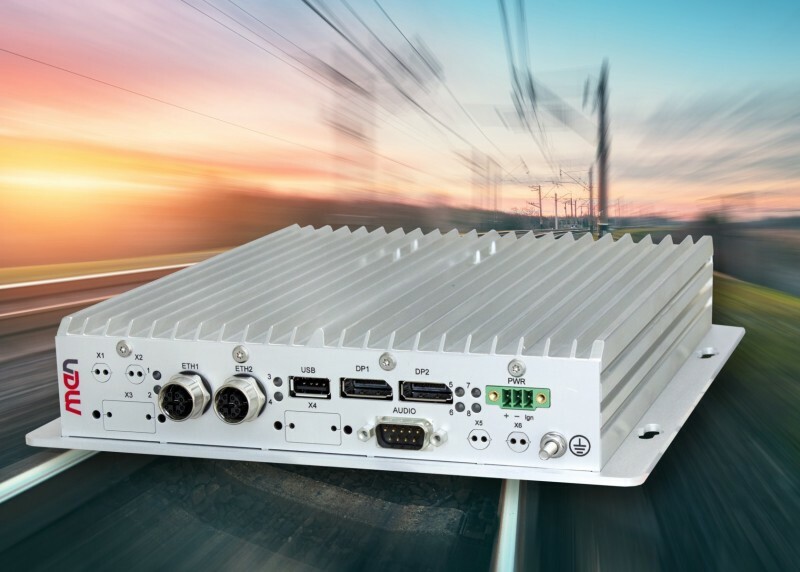 Each motion detection is saved in memory, and simultaneously the data are sent to the website, which graphs the number of motion detections per unit time. If the security system was armed at the time of motion detection, then the PIC32 will sound the alarm via a piezoelectric speaker from CUI. The alarm system is disarmed at default, so each motion detection is logged in the web application but no sound is played. From both the web and mobile application, the user can arm, disarm and sound the alarm immediately in the case of an emergency. The PIC32 acts as the hub of the whole system. As shown in Figure 1, each piece of hardware is connected to the MCU, as it detects motion by analyzing distance sensor readings, generates sound for the piezoelectric speaker and commands the Wi-Fi module for actions that pertain to the web server. 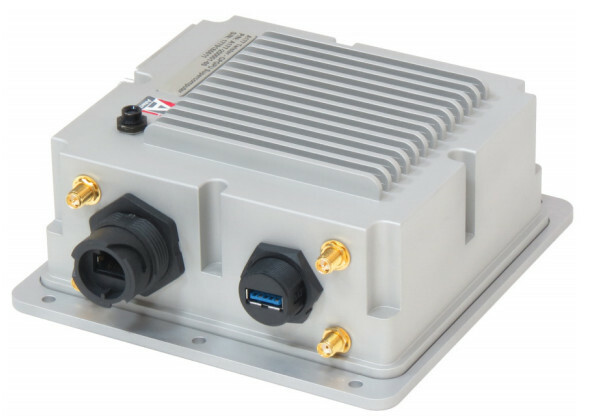 The distance sensor used in our system is rated to accurately measure distances of only 10 to 80 cm . That’s because motion detection requires us only to measure large changes in distances instead of exact distances, the sensor was sufficient for our needs. In our design, the sensor is facing down from the top of the doorway, so the nearest object to the sensor is the floor at idle times, when there is no movement through the door. For an average height of a door, about 200 cm, the sensor outputs a miniscule amount of voltage of less than 0.5 V. If a human of average height, about 160 cm, passes through the doorway, then according to the datasheet , the distance sensor will output a sudden spike of about 1.5 V. The code on the PIC32 constantly analyzes the distance sensor readings for such spikes, and interprets an increase and subsequent decrease in voltage as motion through the door. The alarm sound is generated by having the PIC32 repeatedly output a 1,500 Hz wave to the piezoelectric speaker through a DAC. We used the DMA feature on the PIC32 for playing the alarm sound, to allow the MCU to signal the alarm without using an interrupt-service-routine. 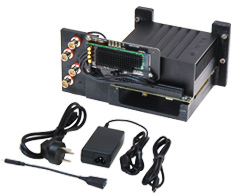 The alarm sound output therefore, did not interfere with motion detection and receiving commands from the web server. The Wi-Fi module we used to connect the PIC32 to the Internet is the ESP8266, which has several variations on the market. We chose model number ESP8266-01 for its low cost and small form factor. 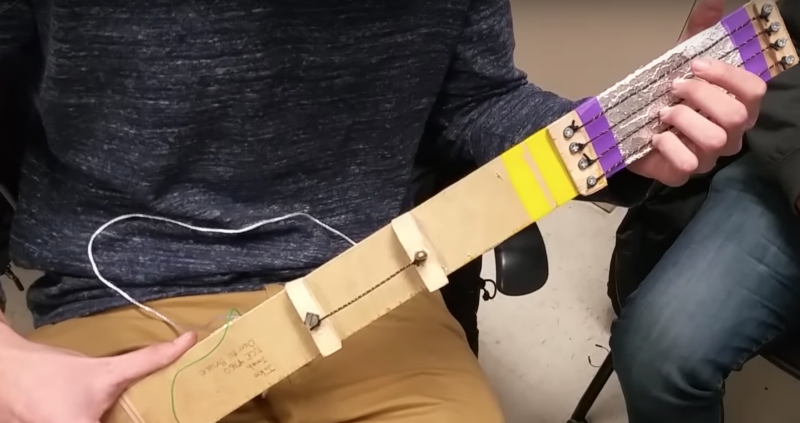 This model was not breadboard-compatible, but we designed a mount for the device so that it could be plugged into the breadboard without the need for header wires. Figure 2 shows how the device is attached to the breadboard, along with how the rest of the system is connected. The full system is wired up on a breadboard. The door sensor is at the bottom of the photo, and is attached facing down from the top of a doorway when in use. 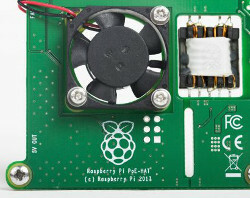 The device at the top of the figure is the PIC32 MCU mounted on a development board. 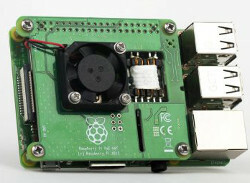 The module can boot into two different modes, programming or normal, by configuring the GPIO pins during startup. 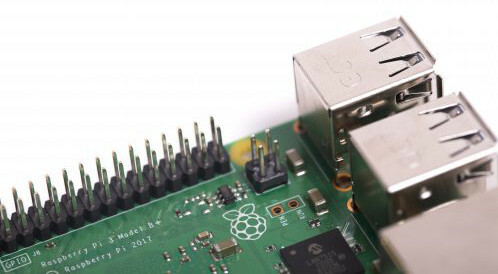 To boot into programming mode, GPIO0 must be pulled to low, while GPIO2 must be pulled high. To boot into normal mode, both GPIO0 and GPIO2 must be pulled high. Programming mode is used for flashing new firmware onto the device, whereas normal mode enables AT commands over UART on the ESP8266. Because we only needed to enable the AT commands on the module, we kept GPIO0 and GPIO2 floating, which safely and consistently booted the module into normal mode. 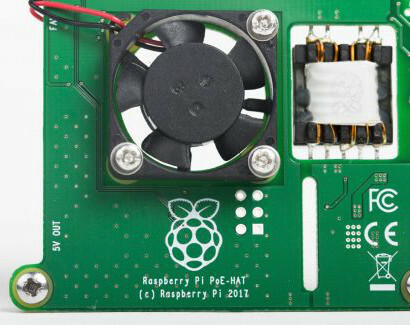 Raspberry Pi Trading has launched a $20 Power-over-Ethernet HAT board for the Raspberry Pi 3 Model B+ that delivers up to 15W and ships with a small fan. The Power-over-Ethernet HAT that was promised with the release of the Raspberry Pi 3 Model B+ SBC has arrived. 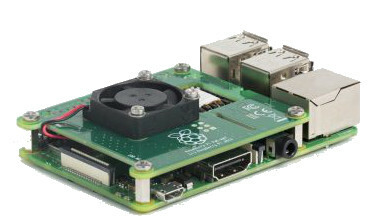 The $20, 802.3af-compliant “Raspberry Pi PoE HAT” allows delivery of up to 15W over the RPi 3 B+’s USB-based GbE port without reducing the port’s up to 300Mbps bandwidth. 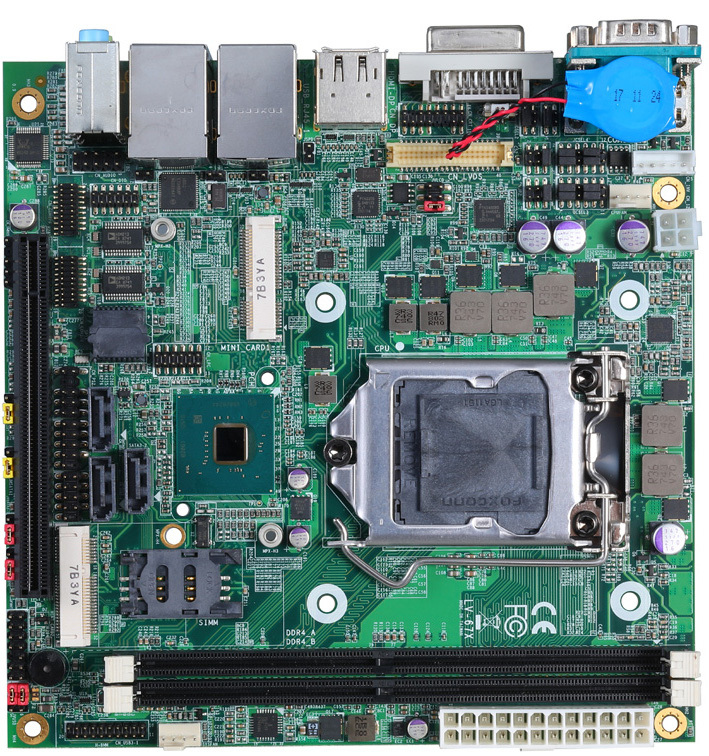 The Raspberry Pi 3 Model B+ won LinuxGizmos’ reader survey of 116 Linux/Android hacker boards. 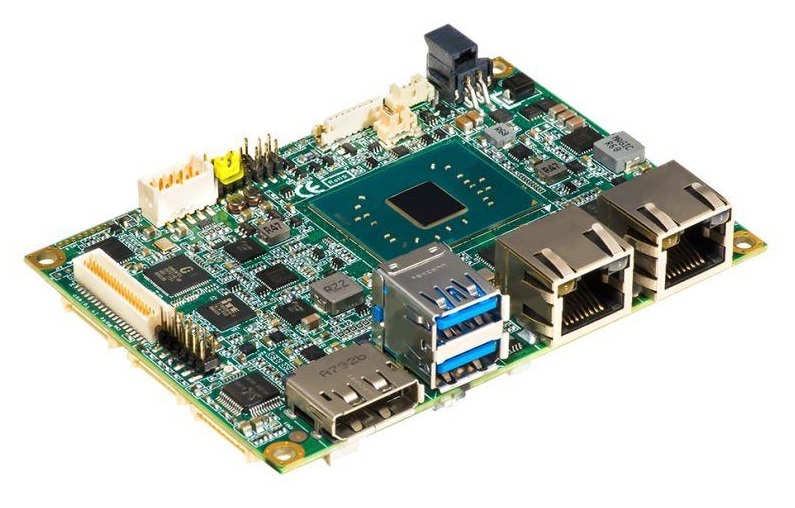 The community-backed SBC builds upon the RPi 3 Model B design with a faster, up to 1.4GHz quad-core Broadcom SoC, as well as faster Ethernet (GbE). 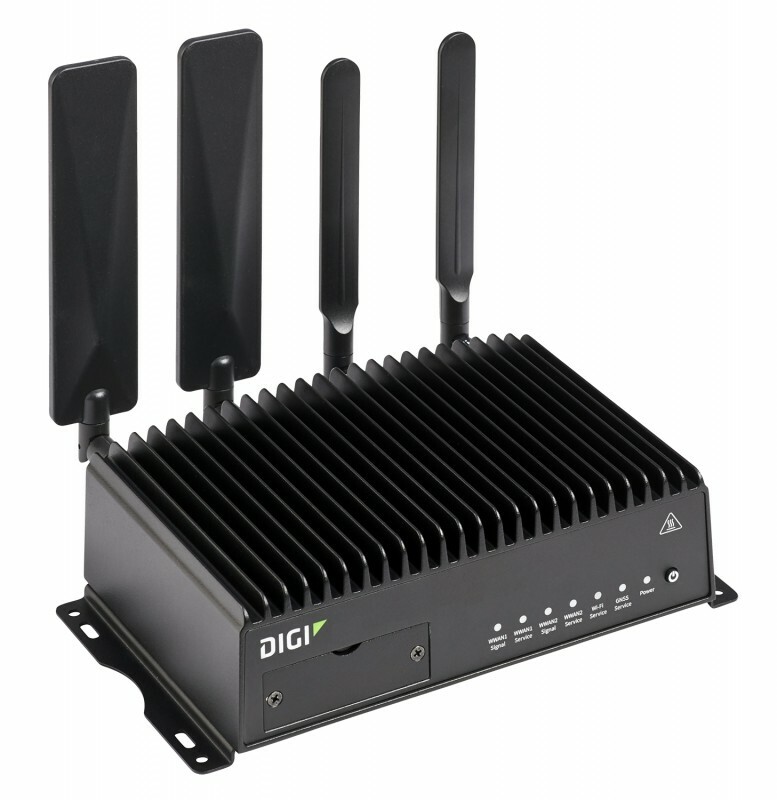 You also get various power management improvements and faster dual-band 802.11ac and Bluetooth 4.2, which comes in a pre-certified, shielded module. 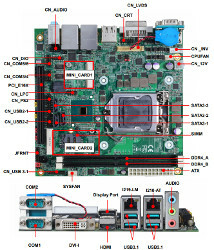 This article originally appeared on LinuxGizmos.com on August 25.